Yesterday I had the pleasure of spending a few hours on board Cruise & Maritime Voyages, MV Discovery and what a most pleasant time it was! We met as usual in the passenger terminal at Port of Tyne and were escorted on board at around 11am. 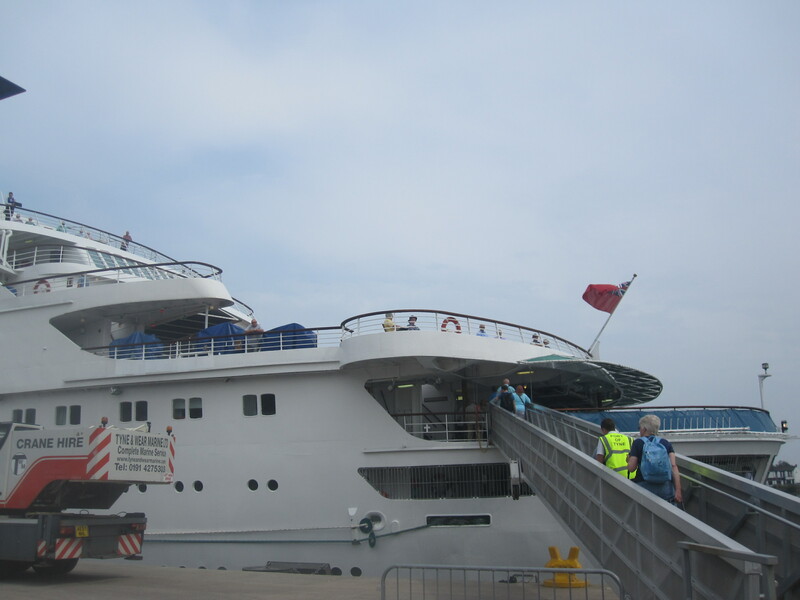 The gangway was located at the aft of the ship, literally straight onto her open deck! I have never boarded a ship in this way before but have seen it done on many of the smaller vessels. It was a much nicer way to board and far more relaxed than the hustle and bustle you can sometimes get from the larger cruise ships. I really could imagine myself boarding after having spent a long day ashore on a wonderful tropical island. I am met within a few moments by a chair and the bar where I can grab a nice chilled Diet Coke, drop everything at my feet and relax. This is what I am beginning to fall in love with when it comes to smaller ships. Daydream over back to the blog…………. We had a short welcome on board introduction and a brief hello from the Captain in the ship’s Discovery Lounge before heading to one of her show lounges for a small treat from the singers and dancers on board. 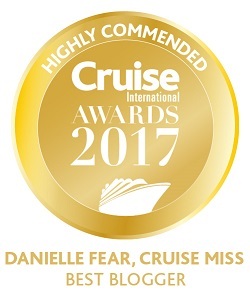 I have never come across an ‘entertainment preview’ on any other day ship visits so it was something nice to add to the tour. It lasted around 20 minutes and was a flash preview of various songs they do throughout Discovery’s cruises. I won’t say too much more, I was kindly allowed to video the performance, you can view it on the CruiseMiss YouTube channel. Go on have a look, just be sure to come back and read the rest! When the show came to an end it was time to take a tour around the ship. She is relatively small, only 168 metres in length and not even tipping the scales at just 20,186 GT but she was pleasantly spacious. We explored numerous areas including her bars and other lounges, the buffet area which also has a swimming pool at one end and if I remember correctly a retractable roof. We passed through the small gym and then landed ourselves in the Spa area. I took one of the spa ‘menus’ with me so I could have a look and see what is usually on offer. They do Honey Massage, Shiatsu, Exfoliating Body Polish, Mineral Mud Wrap, Teen Facial, Swedish Classic Massage and more! Prices seem to be quite reasonable too. For example a 45 minute Exfoliating Body Polish is just £45, I personally don’t think that’s bad at all, I am sure I have seen the same treatment on other vessels for £60. 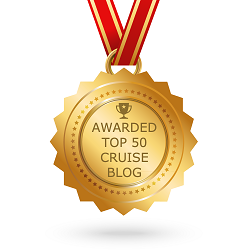 After peeking into a few other areas we doubled back through the Discovery Lounge and out onto the sun deck. I absolutely adored this space! It was perfect! 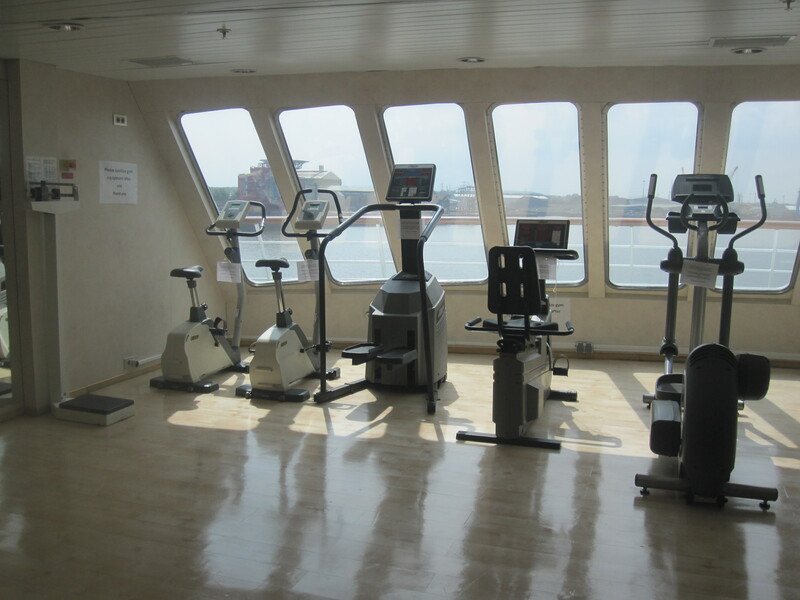 I am a huge fan of the open decks on any ship as this is where I spend the majority of my time whilst cruising so I always go for the closer inspection. 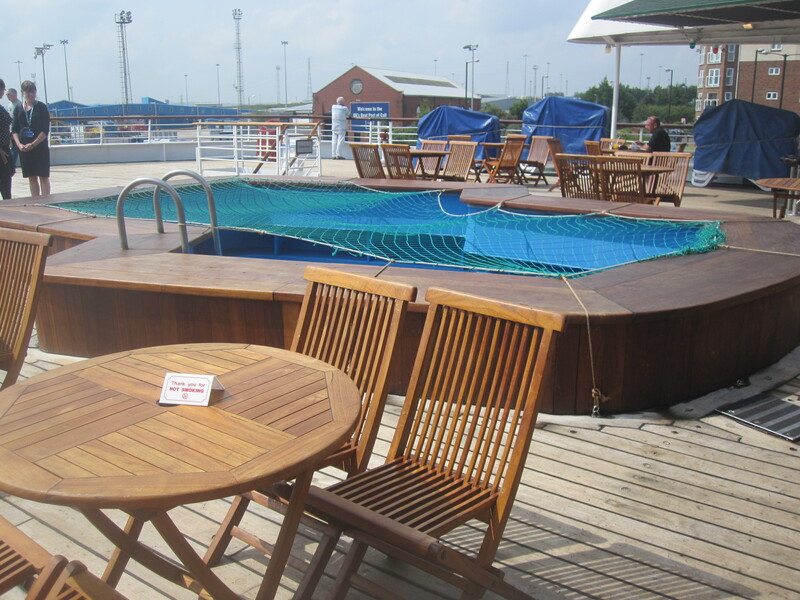 On offer was a deck the width of the ship with a small bar on the port side and a swimming pool sat in the middle. What a swimming pool it was too! The one mid-ships was just under 6 feet in depth but this one must have easily been 8 or 9 feet deep! I have never seen such a pool on a ship before and had it been filled with water I would have been tempted to jump in. This was my kind of chill out area. We managed to have a peek inside two cabins during the visit. Both outside but one was a disabled cabin. They were both spacious considering the size of the ship. Nicely furnished and the disabled cabin offered three lovely little port holes. I did notice the cabin doors are the good old key in the lock system. No electronic door cards on this ship! Not sure how I would cope with that, I’m so used to a card. 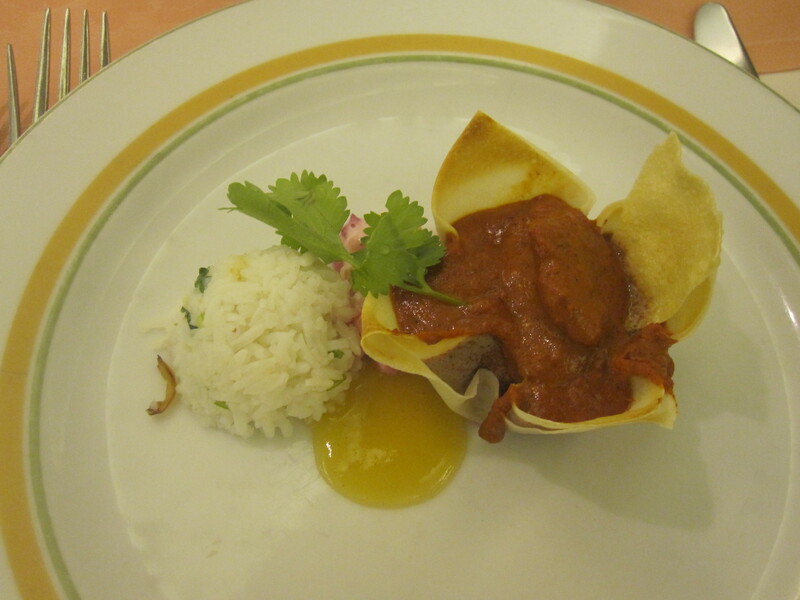 Once the tour ended we made our way towards the Seven Continents Restaurant for lunch. It was a good sized restaurant, airy and all tables were spaced perfectly. I dislike nothing more than feeling like people are sitting on top of me whilst I am eating but the space worked well. The lunch selection was quite good. I opted for chicken tikka to start, just out of curiosity more than anything to be honest. I was intrigued to see how they could make such a dish into a starter. It was delicious! For main course I decided on the vegetarian option which was oven baked Cannelloni. I have to say it was possibly the nicest Cannelloni I have ever tasted and I’m fussy with pasta, actually I’m fussy with food in general. 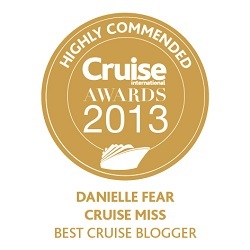 I really did enjoy it, had I not been on a day visit and cruising instead I certainly would have requested more! Desert came in the shape of a Strawberry Gateaux, it was quite light but just a little too moist for my liking. Sadly lunch brought us to the end of our visit, but what an enjoyable visit it had been. 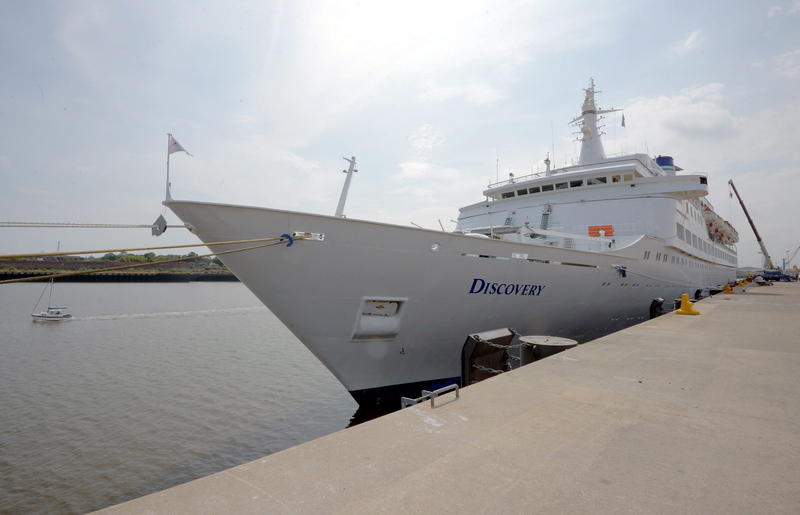 MV Discovery was something new for me, the oldest ship by far I have ever explored and in some areas she was showing her age. Would she be a ship I would cruise on? Without question, Yes! She offered everything I would look for in a cruise ship plus there’s the added bonus of boarding her like she were a grand yacht. I can now also say I have visited one of the ships featured in The Love Boat TV series, although then she was known as Island Princess. 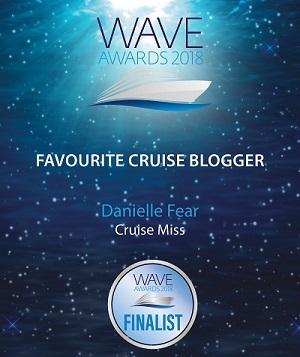 There is a full photo album from my visit on the CruiseMiss Facebook page which pictures of her open decks, both cabins that we visited, restaurant menu’s and more. Enjoy!